Fremantle’s over 55s are donning their dancing shoes every month for an afternoon of twisting, shaking, swaying, waltzing and line dancing! 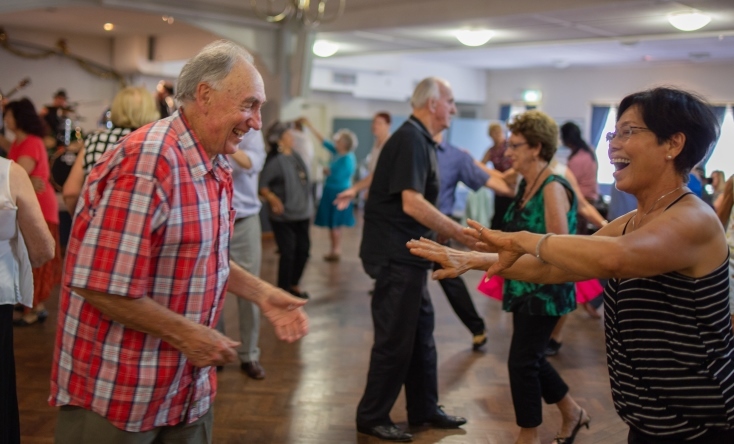 Since August last year, the City of Fremantle in partnership with Fremantle Workers Club, Notre Dame University, Town of East Fremantle, Fremantle Italian Club and Swan Yacht Club has facilitated monthly dances for the over 55s community. The monthly dances, aptly named Dance Hall Days, are partly made possible thanks to a $10,000 grant from the Department of Communities. 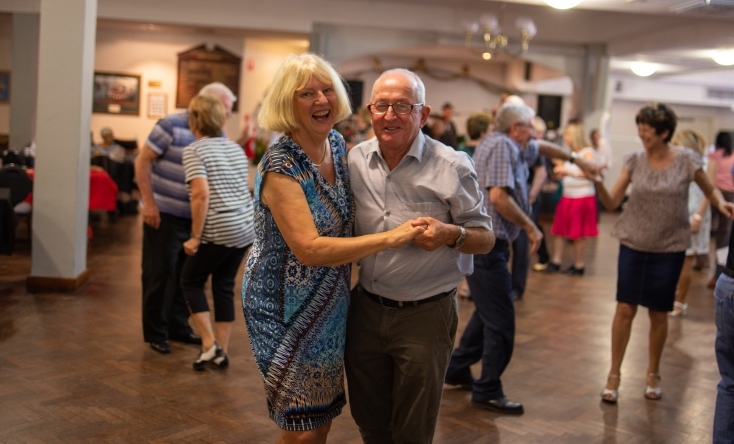 City of Fremantle Community Development Officer Kay Raymond said Dance Hall Days was a fantastic event for over 55s which encouraged social participation and inclusion. “Events like this are so important for engaging isolated seniors and encouraging increased social opportunities and friendships,” Mrs Raymond said. Upcoming monthly dances will be held at the Fremantle Italian Club on the third Friday of each month from 2-5pm, beginning with a one-hour dance lesson. A variety of live bands and a range of dances encourage everyone to have a go. Fremantle Workers Club Vice President Mick Bell said it was easy to see how much the crowd loved Dance Hall Days and enjoyed themselves. “It’s a sense of community for them because they’ve got somewhere to be with friends,” Mr Bell said. Dance Hall Days regulars Betty Dalrymple and Ray Hughes said everyone should come down and see what it’s all about. “I’ve met a lot of new people and they’re all very friendly,” Mrs Dalrymple said. Mr Hughes feels similarly and said the event encouraged social interaction, especially for those people who lived on their own. “I love the music, the people and the dancing – it really is fantastic,” he said. Due to the Good Friday public holiday in April, the next Dance Hall Days event is scheduled for 17 May. For more information about Dance Hall Days, visit the What’s On page on the City of Fremantle’s website.